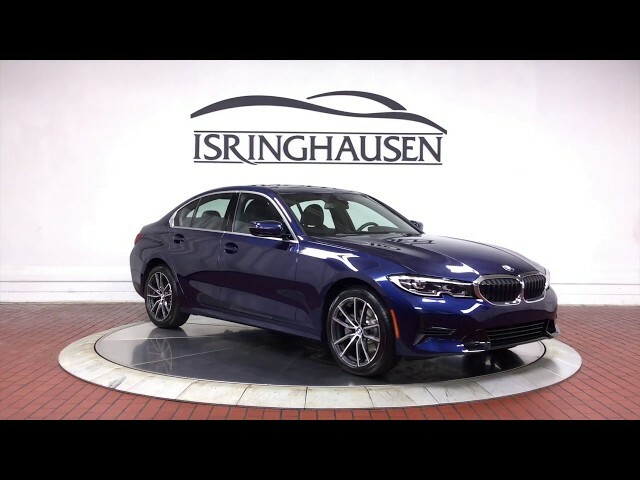 This all new 2019 BMW 3-series in Mediterranean Blue Metallic comes well equipped with factory options including Convenience Package, Remote Start, Park Distance Control, Heated Front Seats & Steering Wheel and more. The original 3 Series brought power, agility, and spirit to the everyday driver. In its seventh generation, that performance has only grown more pronounced as the original sport sedan sets the standard yet again. Contact a BMW sales specialist today to take advantage of the all new 3-series by calling 877-362-9715. Isringhausen Imports is Central Illinois' premier new car, used car and certified pre-owned (CPO) dealership for quality BMW, Porsche, Volvo and Mercedes-Benz vehicles. At Isringhausen Imports, we have become a leader in the industry by working each day towards the greater good of our customers, our fellow employees, and our community.